Fields: Added capacity will help Ford regain market share. DETROIT -- Ford Motor Co. executives underestimated the strength of the U.S. market in the first quarter and found themselves short of cars. 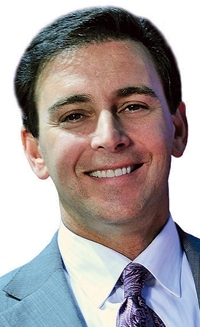 That's why Ford dropped 1.4 points of U.S. market share, says Mark Fields, Ford's president of the Americas. To rectify the problem, Ford is adding shifts, shortening summer shutdowns and preparing to build more cars at a plant it shares with Mazda Motor Corp. It will even speed the line at a factory that already is running on three shifts. "The market got a little bit ahead of us," Fields told Automotive News last week. "Most of our production actions and capacity increases take place in the second half of this year." Fields knows his actions will help little until late this year. Indeed, in a first-quarter analysts' call, Ford officials changed their guidance on market share, admitting Ford will lose share this year, rather than hold steady as they had previously predicted. Still, Fields believes that a strong lineup, aided especially by the redesigned 2013 Ford Fusion sedan and Escape crossover, eventually will help Ford gain share. So as he adds production capacity, he's also trying to make sure that Ford has factory flexibility so it can respond to shifts in consumer demand. For example, Ford plans to have its Hermosillo, Mexico, factory back up to three shifts building the 2013 Fusion later this year. By year end the plant will build all five Fusion powertrain configurations -- three gasoline engines, a hybrid and a plug-in hybrid. Hermosillo also builds the Lincoln MKZ sedan. In the middle of next year, Ford will add the 2013 Fusion and a second shift at the AutoAlliance International Inc. plant in Flat Rock, Mich., south of Detroit, which Mazda co-owns. The plant will make gasoline-engine versions of the Fusion on the line where the Mazda6 sedan now is built, Fields said. Mazda's future role in the plant is unclear. Mazda says it will keep its half ownership of the factory but hasn't designated another vehicle to be built there after production of the Mazda6 ends this year. Ford also builds the Mustang there. The two factories should ensure enough Fusions in whatever configurations consumers want. Ford will offer three four-cylinder gasoline options: a 1.6-liter EcoBoost, a 2.0-liter EcoBoost and a normally aspirated 2.5-liter engine. This summer Ford will shut down the Hermosillo plant for a couple of weeks to change over to the new Fusion, Jim Tetreault, Ford's lead manufacturing executive for North America, told Automotive News. When the plant reopens, it will resume its current three-shift schedule, but "We'll be increasing production volumes a few jobs an hour," Tetreault said, to 62 units per hour, from 58. Ford produced 329,509 Fusions and MKZs at Hermosillo in 2011. Beyond Hermosillo, "We're putting in line speed increases anywhere we can technically support it," Tetreault said. And Ford isn't just speeding lines. Ford has reduced its summer shutdowns to one week, from two, at six of its eight North American plants, a move that will produce 40,000 additional vehicles. It is adding a third shift at three of those plants: Chicago, which builds the Explorer, Taurus and Lincoln MKS; Louisville Assembly, which builds the Escape; and Michigan Assembly, which builds the Focus and will add the C-Max in the second half. All told, Ford's actions will give it 400,000 extra units of capacity this year. That doesn't include the second shift at Flat Rock, because Fusion production won't start there until 2013. Those actions address directly some of the shortages that have hurt Ford's market share this year. Through April, Ford had 15.4 percent of the U.S. light-vehicle market, down from 16.2 percent a year earlier and 16.8 percent for all of 2011. On April 1, Ford had a relatively skimpy 31-day supply of the Focus, 44-day supply of the Fusion and a 57-day supply of the Explorer. A 60-day supply generally is considered ideal. Ford also had 72-day supply of the F-series pickup. That doesn't sound so bad, but pickup inventories typically are larger, to offer shoppers a wider range of possible configurations. For example, on April 1, Chrysler Group had a 92-day supply of the Ram pickup, and General Motors had a 122-day supply of the Chevrolet Silverado and a 132-day supply of the GMC Sierra. The Dearborn, Mich., plant that builds the F series already is on three shifts; Ford has trimmed its summer break to one week from the usual two. The Fusion and the redesigned 2013 Escape crossover are central to Ford's ambitious plan to increase share in two segments at the heart of the U.S. market: mid-sized sedans and small crossovers and SUVs. "In the retail market, two out of every three retail vehicles sold is in the mid-sized or small-utility segment," Fields said. "We're going to make sure we get these vehicles out with quality and get up that acceleration curve as fast as we can." Ford already is cranking out 2013 Escapes in Louisville and shipping them to dealers. The 2013 Escape makes a dramatic departure from the 2012 model, which had a boxy design in the manner of traditional SUVs. The 2013 Escape has a more streamlined, carlike look. Fields is counting on the 2013 Fusion to outsell the 2012 model. The 2013 Fusion drew rave reviews for its sleek design when it debuted at the 2012 Detroit auto show. Some reviewers compared it to an Aston Martin in appearance. Some dealers hope the Fusion can overtake the Toyota Camry as the top-selling car in the United States. About that, Fields is diplomatic: "We're going to let consumers decide." The first-generation Fusion debuted in 2005, and sales have grown steadily. Unusually for the auto industry, the current Fusion enjoyed its best sales year in 2011, its last full year of production, with 248,067 units. Toyota Camry sales that year were 308,510. The Escape was the No. 5 seller among U.S. vehicles last year, and the Fusion was No. 6. But both dropped off the top-10 list in the first four months of 2012 as Ford wound down production and prepared for the 2013 replacements.